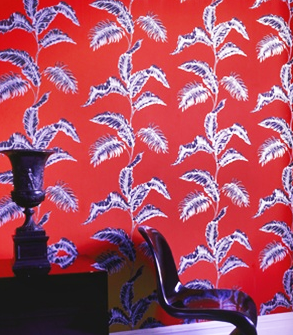 Placing this red wallpaper with feathers on it on one wall in a room will make a fantastic accent to the space - extending the length of the room too! Just throw in a red decor accent and you are set! 0 Responses to "USING YOUR WALLS: Red Wallpaper"